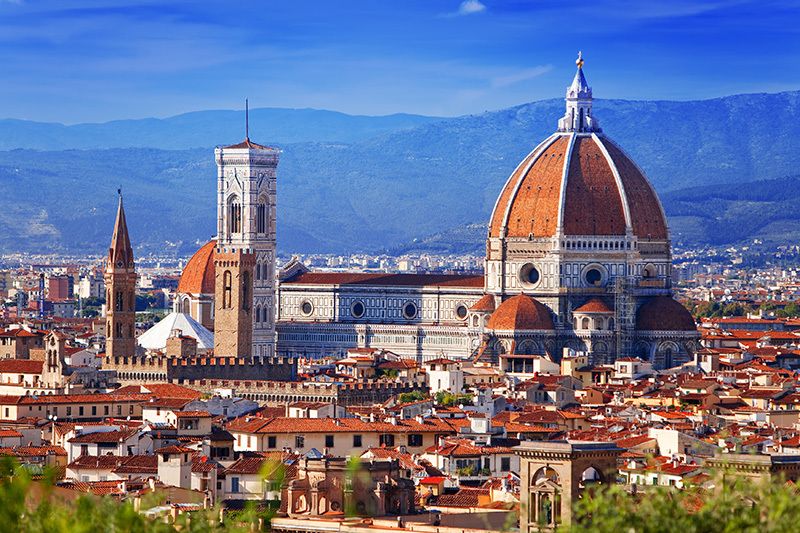 Florence offers a variety of cultural site seeing famous throughout Italy. The old town center is also a unique location home to a variety of cathedrals and other structures and monuments of religious notoriety. The city is quite picturesque, offering a plethora of options for experience and aspiring photographers, painters and artists. 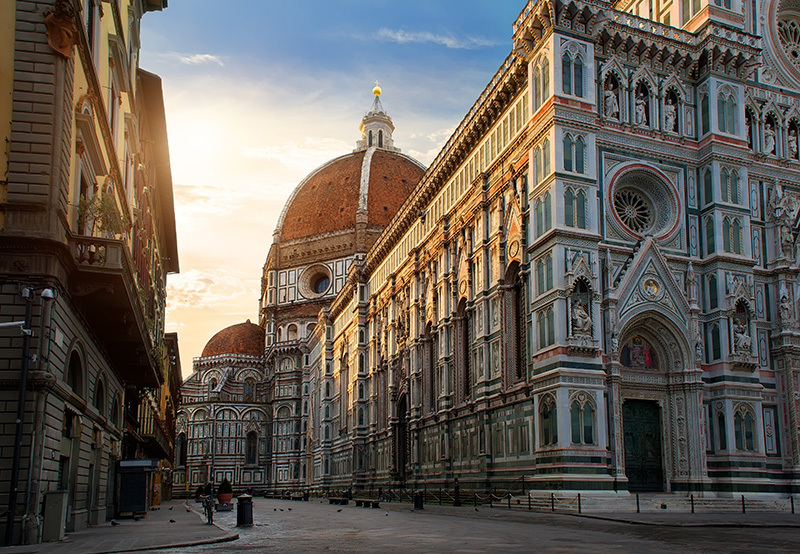 More recently listed as Florence Cathedral, this homage to gothic architecture was developed in 1296 and completed in 1436. The cathedral is one of Italy’s largest churches and in previous times included the largest dome in the world. To this day, the dome is the largest ever constructed in brick. The ‘Old Palace’ is the town hall of Florence and includes a gallery featuring a wide range of Italian sculptures, including a copy of Michelangelo’s masterpiece ‘David’. The museum contains three unique courtyards featuring different stylings as well as more than 15 different rooms featured on different aspects of artistic impression. The bell tower that makes up part of the Florence Cathedral, this piece of gothic architecture is adorned in unique sculpture and marble decorations. It stands 84.67 meters tall and is divided into five stage. 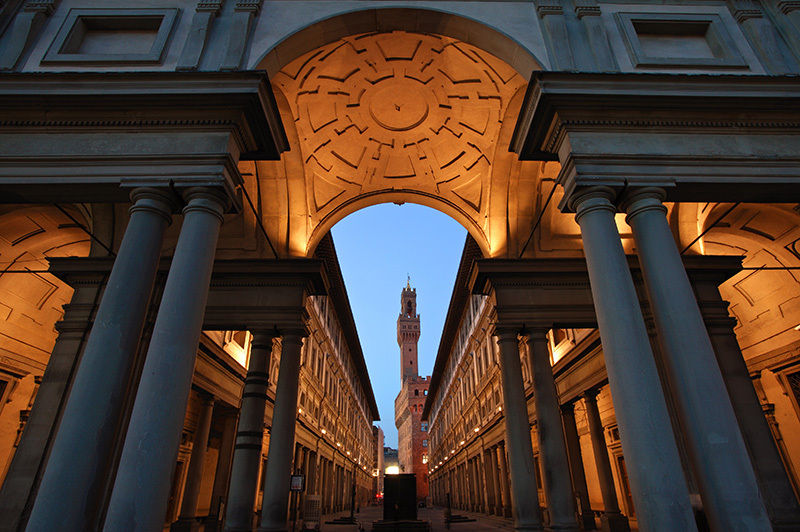 The tower is open to the public and offers beautiful views across the city of Florence. Part of the Lungarno Collection of hotels and resorts, this rooftop bar is famous for its views and setting amongst the stone rooftops of Florence. Closed only in the winter season, the La Terrazza bar offers cocktails and light food above the medieval Consorti tower as part of the Hotel Continentale. Highly sought after and a location not to be missed, if only for its amazing views.